Firefighters were called to a scene near Lake Springfield in Central Illinois one early Sunday morning in August 1992. When they arrived, they found a dilapidated, old building that had been closed for years completely engulfed in flames. The fire, which later turned out to have been deliberately set, destroyed a place called the Lake Club, a once-grand restaurant and nightclub that had been out of business since the 1960s. Other businesses had come and gone in the building since the demise of the club but most people recalled the 1940s and 1950s as the golden age of the Lake Club. It was from this time period that stories of big bands, live radio shows, and illegal gambling emerged as fond remembrances of yesterday. But it was also during this time that the stories of the club’s resident ghost emerged – a tragic nightclub employee who simply refused to leave. 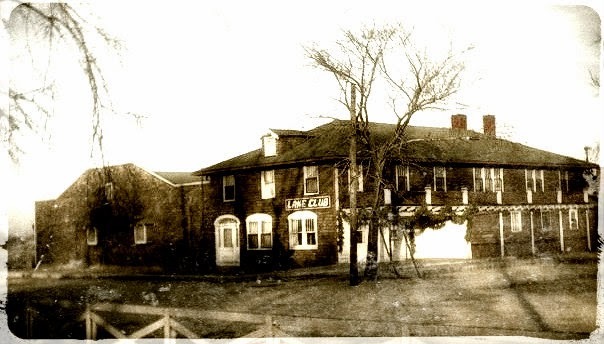 The Lake Club opened as a nightclub in 1940, but the building on Fox Bridge Road had seen many incarnations in the years prior to that, including as several restaurants and even a skating rink called the Joy Inn. In 1940, two dance promoters named Harold Henderson and Hugo Giovagnoli renovated the place and opened it for business as the Lake Club. The club soon became one of the hottest nightspots in Illinois, drawing customers from all over the state. It boasted a raised dance floor surrounded by a railing, with curved walls and a swanky atmosphere that made patrons feel as though a New York club had been transported to the shores of Lake Springfield. The owners concentrated on bringing big name entertainment to the club and succeeded. Among the many top performers were Bob Hope, Ella Fitzgerald, Guy Lombardo, Pearl Bailey, Spike Jones, Nelson Eddy, Woody Herman, Mickey Rooney, and many others. The constant stream of entertainers and big bands brought capacity crowds to the club every night. During the height of its popularity, the club even hosted a radio call-in show that broadcast music and entertainment all over the area. The Lake Club thrived for nearly two decades, becoming known not only for its swinging entertainment, but for its first-rate gambling, as well. Wealthy customers and the society elite of Springfield and Decatur frequented the club for the musical guests and also for the billiard tables, craps and gaming tables, slot machines, and card games. This part of the club operated in secret in a back part of the building, known only to high rollers and special customers. However, in December 1958, the golden days of the Lake Club came to an end. The partners had survived many setbacks over the years, from lawsuits to foreclosures, but the club would not survive the two undercover detectives who gained access to the gambling rooms that Christmas season. New Year's Eve at the Lake Club during its heyday. Owner Huge Giovagnoli is in the dark suit at the end of the bar. The bartender who took the photograph that night may have been Albert "Rudy" Cranor. Business began to falter in the wake of the raid and the place finally closed down in the 1960s. Giovagnoli blamed the failure of the club on the gambling crackdown, always maintaining that the entertainment had been just part of the club’s appeal. However, he refused to give up. Despite his partner Harold Henderson’s death in 1977, Giovagnoli managed to open the club again with other parties managing different projects in the building. During this next popular time in the club‘s history, it was managed by Bill Carmean and Tom Blasko as a rock club. In 1980, it was leased by Pat Tavine, who also operated it as a rock club until 1988, when it closed down for good. The Lake Club was destroyed in the fire just a few years later. It was in August 1979 that the Lake Club, known in 1980 when the story came out as the “Sober Duck Rock and Disco Club,” gained national notoriety. It was at this time when the ghost of Albert "Rudy" Cranor was finally put to rest. Bill Carmean was the first to notice that something strange was going on at the club. Both he and Tom Blasko had experienced cold chills in the building, along with hearing odd sounds and getting the feeling of being watched in certain rooms. One afternoon, he came into the club and sat down at the bar with the lights off. Suddenly, he heard the sound of a piano being played in another room. He got up to see who else was in the building with him and as he stepped into the room, the music stopped. The room was completely empty. Weird things continued to happen. Often on Monday nights, while Carmean would be in the building going over the weekend receipts, he would hear a door near the office open and footsteps crossing the floor. He would jump from his seat to see who was there, but the hallway was always empty. Carmean also remembered a salesman visiting his office one evening when a glass flew off a table and hit the wall on the opposite side of the room. The salesman left in a hurry. By 1976, the haunting had intensified and things began happening more often, and in front of more witnesses. A club bartender was pouring a drink one night when the glass in front of him suddenly shot up into the air and landed over his shoulder. A waitress also experienced the antics of the ghost one night when she went to serve a drink to a customer, only to find the glass inexplicably filled with chocolate. She would later insist the glass had been absolutely clean when she handed it to the bartender. Carmean was the first of the club’s staff to guess the identity of the ghost who was plaguing the club. He recalled that a former employee had committed suicide in the building several years before. On a lark, he started calling the ghost by this man’s name, which was Rudy. Albert "Rudy" Cranor had worked at the Lake Club during its heyday of the 1940s and 1950s. He was described as being well-liked and popular with the entertainers and the customers. He was a very large man, well over 250 pounds, and he had snow-white hair. He was remembered as one of the club’s most memorable characters and even 50 years later, I have spoken with people who remember him. They speak fondly of him and recall his as a nice man and their favorite bartender. After the club fell on hard times following the gambling raid, Rudy also began experiencing some personal difficulties. He was a very private person, so no one really knew what was going on, but they did notice that he began to drink heavily while on the job. They also began to notice some changes in his personality and appearance. He seemed to be more tired than usual and dark circles had begun to appear under his eyes. Then, one night, he became sick and had to be rushed to the hospital. It took several men to carry him downstairs to the ambulance. He returned to the club after a two-week stay in the hospital, but he was never the same again. On June 27, 1968, Rudy shot himself with a high-powered rifle in one of the back rooms at the club. He died in the hospital the next morning, never regaining consciousness. No one was ever sure why Rudy had killed himself, but regardless, he wouldn’t stay gone for long. In a few short years, he would return to haunt his beloved club. The strange events at the club continued in the form of weird antics and pranks, apparently carried out by the ghost of Rudy Cranor. One night, Tom Blasko placed a pile of tablecloths on an empty table and left the room. When he came back, the cloths were on the floor. He picked them up and left again, only to return moments later and find them once again on the floor. This was repeated several times until Blasko finally gave up and left them on the floor. Employees and visiting musicians also reported strange occurrences like doors opening and closing by themselves, the sound of footsteps in empty rooms, a drink that lifted off a table and then dumped in a customer’s lap, office equipment that operated on its own, feelings of being poked and prodded by unseen hands and numerous other bizarre happenings. A frightening event took place in the summer of 1977 when Barbara Lard, a waitress at the club, had an encounter with Rudy himself. She was working one evening and went to the bathroom behind the back office. As she came out, she glanced over the back bar and saw Rudy looking at her. She described what she saw as just a head, hanging there in space, and although she could see through it, the head appeared life-like. She said that the apparition had snow-white hair – and she had never known, heard about, or had even seen a photograph of, the late bartender. The apparition looked at her for a moment and then spoke, telling the waitress that one of the owners of the club was going to die. This was not a threat, Lard recalled later, but merely a warning. The waitress ran out of the room in tears, visibly shaken and close to hysterics. Other staff members who saw her that night reported that she was very frightened and that she was not a person known for being hysterical or easily frightened. Tom Blasko later stated that he went back into the room after Lard’s encounter and claimed to feel the same bone-chilling cold that he always associated with Rudy’s spirit. Needless to say, Blasko and Carmean were more than a little unnerved by the ghost’s warning. By this time, they had no doubt the ghost was real and that the club was genuinely haunted. Because of this, they also had no reason to doubt that Barbara Lard’s encounter had been real. Her description of the late Rudy Cranor had been too accurate to have been imagined. The two men waited and probably were more careful than usual when doing things like driving to work or climbing ladders. Then, two weeks after the incident, Harold Henderson, one of the original owners of the club, died at the age of 69. He was still the owner of the building itself and was an owner that Rudy would have known during his lifetime. This incident would shake Blasko more than anyone else. He had spent two weeks living in fear for his life and he felt that it was time to get rid of the ghost if possible. Perhaps Rudy had been trying to be helpful with his warning, but Blasko didn‘t really care. He contacted a woman he knew who was interested in the occult and she suggested that he ask a priest for help. Blasko was a practicing Catholic, but when he contacted his parish priest, the man declined to become involved. He suggested that Blasko pray for Rudy on his own and Tom spent the next six months carrying a rosary around the club with him. But it didn’t help – Rudy was still there. Finally, in August 1979, Blasko attended a high school class reunion and ran into one of his former classmates, Reverend Gary Dilley, a priest who now lived in Fort Worth, Texas. Tom mentioned the problems at the club to Father Dilley and the priest was intrigued. After some discussion, he agreed to come out to the club and take a look around. He said later that he believed Blasko was sincere about what he said was happening. He had known the man for many years and had never thought of him as the hysterical type. The priest questioned several of the club’s employees and found that their stories were very similar. He knew they had not had time to compare notes before he spoke with them. He was convinced that something was going on, but he declined to do an "exorcism" of the club. To do that, the case would require a thorough investigation and permission from the local bishop, which he doubted that he would get. Instead, he decided to bless the place and pray there, hoping this would perhaps put Rudy to rest. Father Dilley contacted two other priests to take part in the ceremony, Father John Corredato of Kankakee and Father Gerald Leahy of Griffin High School in Springfield. The three men were quick to point out that they were merely trying to bless the building, to clear out any negative spirits and to help at least one "very restless soul" to find peace. The three priests went from room to room in the club, blessing each with holy water and praying. They asked that any negative spirits depart from the building and they prayed specifically for Rudy Cranor. They entered the room in which he had committed suicide and prayed that his spirit be at rest. So, was that the end of the haunting? Apparently, it was. The same people who considered the club to be haunted were now sure that Rudy had departed. The day of the religious ceremony was the last day when anyone was aware of Rudy’s presence in the building. It seemed that the prayers and blessings had helped the bartender find his way to the other side. It certainly seemed possible that Rudy might have chosen to stay behind in a place where he had many attachments in life. Perhaps the intervention of the priests was all he needed to be convinced to move on. Once Rudy was gone, some staff members realized they hadn’t minded his ghost as much as they had once thought. In a 1980 newspaper interview, Tom Blasko said, "In a way, I sort of miss Rudy. We were all fond of him. It’s been pretty quiet since the priests were here – sometimes I wish that I hadn’t asked them to come." Missed or not, Rudy finally found some peace and a release from his suffering, somewhere on the other side.